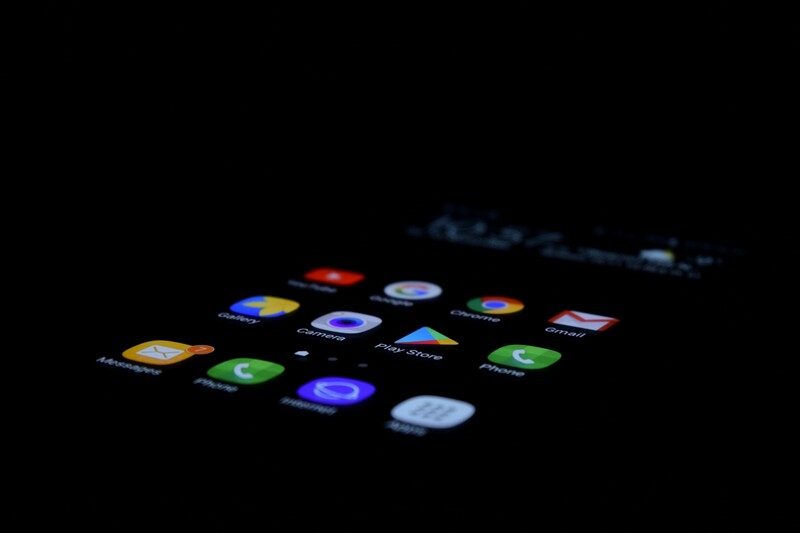 After buying a new phone or doing a clean install of the OS, the very first thing you start doing (after completing initial setup) is installing them apps! If you used Android phone before and was on top of it, following software news closely, then you probably know what you’re doing. But if you’re not really into all this stuff, but decided to dive into it this time, what exactly are you going to install? After all, there are only a few pre-installed apps on your phone (some of which you can safely delete), and you may fall short on some features other apps can provide. But there are thousands of apps on Google Play, and more are created each day. How to choose from this vast amount the ones you’re going to need? Install the whole ‘top apps’ section? Not a solution. In this article, I’ll try and cover some of the software you might want to install on your new phone. This is not a to-do guide, but rather a humble recommendations list, based on the experience of yours truly. In most cases, you won’t get any weather app pre-installed on your phone. Often it’s just a small weather widget that gives very little information. One of the highest rated apps is AccuWeather, and not without reason. Its forecasts are accurate, and it has a lot of in-depth information and cool features like the animated weather map, pollen levels alerts and a beautiful customizable widget. Even if you know your city, map app can come in handy. And if you’re traveling — then you can definitely use one of those. Honestly, I don’t see a point in suggesting anything else other than Google Maps, which does the job the job perfectly. Navigation, route building, info about places and more — everything at your fingertips. What’s really great is that they regularly update it (maybe at a kinda slow pace) and add new features like Local Guides. Some versions of Android come packed with built-in file explorer, but even if that’s the case, the chances are you’re gonna get a very limited app in terms of functions. While everyone keeps suggesting ES File Explorer, I’d recommend my favorite FX File Explorer. It’s free, has no ads, no tracking whatsoever and is a handy tool. It has all the features I wanted from the file manager ([un]archiving included!) and even more. Okay, now that you’re all set up with local storage, why not think about cloud storage? After all, you won’t be able to store everything on your phone. And sometimes you might want to transfer files from your PC to your phone without using cable or 3rd party software. Here I’d suggest sticking to whatever you’re using on your PC. Dropbox, Google Drive, Mega — it’s up to you. I am using Google Drive for the last 5+ years and haven’t run out of free space yet (not even close to the limit). And it does its primary job — uploading and downloading files faultlessly. Now, how about making a couple of photos or recording a video? There are literally hundreds of camera apps. The first tip — try using your built-in app. Most of the times it will suit your needs and will work smoothly because it is designed or explicitly optimized for your phone. If you feel that you lack something, try Musemage. I’ve tried a lot of camera apps, but I found this one the most helpful. Most of its features are not behind a paywall, and there are a lot of them. Manual shutter speed or ISO? Okay. Real-time green screen effects? Easy. Video stabilization? Yes! That last one is actually why I fell in love with this app. The algorithm behind it is relatively simple, but it does the job — you can film smooth videos with the small price of a lower field of view. Even if you’re not a professional, you still might want to edit your photo and do something more than just applying Instagram filters. In this case, Snapspeed by Google is your best choice. What else may you need? It’s absolutely free. It has LOTS of features — starting from simple filter overlay to curve editing. It’s one of those “easy to learn, hard to master” apps, but it’s definitely worth it. Let’s be honest — internal memory is not an infinite resource, and sooner or later you’re gonna need to move your photos elsewhere. Your PC would be one thing. But what about other options? If you thought about keeping your photos and videos on Google Drive — don’t. You’d be out of space in no time. I have a better alternative: Google Photos. Yes, technically, it uses the very same storage as your GDrive, but… It offers you infinite space for your photos, as long as you don’t upload them in native quality. But believe me — if your phone is not a Canon 5D Mark, you won’t notice the difference. You pay the price if you upload videos though, but still — I’ve been using GP for more than a year, and there is still plenty of space left on my google drive. Other than handy cloud storage for your media, it has a built-in “Assistant” feature. It is capable of several cool things. Sometimes it will try and make a movie from your videos/photos or a small gif from a video, or a stylized photo or a collage. You are free to either save or discard it. It will also suggest archiving (basically, hiding from general feed) photos of documents/screenshots/etc. Google’s AI is also capable of categorizing your photos, based on what is in them. It will create several different categories like Objects or Places with subcategories in them, like “Screenshots”/”Forests”/”Concerts” and so on. And it also can recognize people, so you can later search a specific person in your photos. Of course, you are free to create your own albums. A lot of people use the default keyboard. Some — because they don’t see the point in using something else. But some — just because they don’t know that there are alternatives. I bet you’ve heard about SwiftKey. With more than 100 million installs it’s easily the most popular keyboard out there. And not without reason. It’s highly customizable (set your own color, change size, etc. ), it supports multiple input methods (long presses/swiping) and has one of the best predictions/corrections I’ve ever seen. The more you use it — the more it knows about what and how you type, saving you key taps and helping avoid misspells and mistakes. Spotify is an absolute leader when it comes to listening to music. I bet you’re already familiar with it, but just in case: it’s the most popular app for listening to music and podcasts not only on mobile but on desktop systems as well. Deezer is not really far behind. Both provide excellent listening experience and have millions of songs in their database. What you want to use is entirely up to you and your choice. Give them both a try and see what sticks. When it comes to video, things get a bit more complicated. Yes, sure, you could view your video right from the gallery app. But what if you want to watch a movie with subtitles? VLC should be your default choice. It’s overall the greatest video player invented by humanity. It’s completely free (unlike MX Player, for example) and has plenty of features. If you can’t help yourself and click every single link on every page you see — then you’re probably better off installing an antivirus like Kaspersky just in case. But all in all, antivirus on android is pretty useless because, for a virus to work, you’d have to download it, tick a few system settings and then install it manually. Also, if you’re serious about your privacy and use two-factor authentication in various applications, you might want to install Google Authenticator. Anyway, this will be prompted when you set it up (Discord, for example). If you’re not sure that you need it — then you probably don’t. On the desktop, there are not a lot of different browsers, with most people using Chrome. The situation on mobile is not so different — after all, it does sync all of your info and passwords with the desktop version so you will have access to everything you are used to. But if you’re not a fan of Chrome or just want a different experience, there are A LOT of other browsers for mobile, among them are your usual suspects like Opera and Firefox, along with some new players like UC Browser or Via Browser. It might be a good idea to switch to give some of them a try if you’re struggling with your current browser. For example, on my older android phone Chrome was pretty laggy and crashed constantly. Switching to a lightweight browser helped me a lot. Among other things, you might want a useful tool for quick note-taking. You can check out my article called Best Note-Taking Apps and see which of them has Android versions and if any of them click with you. If planning tasks and chores is your thing, then I suggest checking TickTick out. Yes, it sounds an awful lot like TikTok, but is not. It’s a great planning app with a lot of features even in its free version. It also provides reminder by location for free, which is a paid feature in almost all other apps.